This is me rambling. Once again I had a sleepless night but this time it was not because of my body was in pain (although it does it hurt today). At around 11 pm last night I heard the first sirens which since I live near an EMT station is nothing new but I realized that the sirens I was hearing did not come from an ambulance. So I stepped out on my porch to watch a firetruck go by. I did what came out of habit and prayed for the safety of those on the truck and prayed for God to send His angels to where they were going to be with those they were going to. Then a little while later another fire truck from another town passed my apartment. This got more than my prayers it got my attention. It had started raining but I didn’t go back inside but walked out in it. ( A little water doesn’t hurt. It is not like I am in OZ and I am not the witch so I won’t melt) More trucks went by and I could finally see the flames above the trees from the next street over. The last fire truck to go by was another volunteer firetruck from a neighboring town around 1 am. I am not sure what time they finally put the fire out and how much worse it would have been if the rain had not come but I had finally came in at 3 am. Not knowing who I was praying for or which house or houses were on fire I prayed. I asked others to pray. I didn’t have to know theses people but the ones fighting the fire didn’t have to know who they were fighting to save either. All of these firemen are volunteers. Our fire department here in Bridgeport is a volunteer fire department and so are those in the surrounding towns. They do not get paid to do what they do. They have other jobs, but if a fire happens they gear up get on the truck and put their lives on the line. I am grateful that none of these people got hurt last night but unfortunately the man who lived in the house did not make it. I pray for his family. So why am I writing about this? To be honest I am not sure what prompted me but as I have been writing one of things have come to mind. The first is unity. Neighboring towns got together to put out a fire. They worked together and they did so at risk to their own lives and without pay. *Think about that the next time someone wants to be paid 15.00 to flip burgers at McDonald’s.) I hate to say this but Christians are at odds with each other. Whether it is from one denomination against another, or division within the individual churches. Then how we respond to others outside of our religion. We too often speak with hateful and condemning words. We forget that even if they do not believe in Jesus that He still loves them and died for them to. Jesus taught for us to love our enemies and to bless those who curse us. Instead we play the role of judge and often condemn others, within our own families, churches, neighborhoods and so on and on. We need to learn to work together in Christ’s love for us all. This does not mean I condone sin. Sin is sin, but name one of us who is without sin. Well I will end this by adding a song I hope you enjoy it. I am done rambling for now. Who among us is not offended by one thing or another. This morning I watched a good message on being offended by Gregory Dickow. I have been studying on how to handle offenses with a better attitude for a while but I realized this morning as I watched this message that I have slacked off ob this study. I can make many excuses, such as having to move has taken up so much of my time especially since there have been multiple plumbing issues and having a plumber come to make repairs 4 times in an 8 day period. Then being blamed for the plumbing issues even though they began before I was moved in. I then took offense. This however is just an excuse. So I am going back to my studies and listening to messages on how God wants me to deal being offended. When I remember 1 Corinthian 13 the chapter on love I am reminded of what God say love is and what it is not. The fact that I am still offended but what others do is a red flag to me that says that I am not operating in His love at that moment. I do not react to offenses in a loving way the way I know He tells me to do. 1 Corinthians 13:5 (AMP) It is not rude; it is not self-seeking, it is not provoked [nor overly sensitive and easily angered]; it does not take into account a wrong endured. 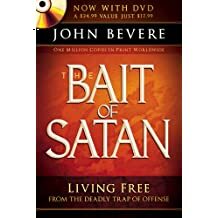 I also would like to share a great book on this subject titled Satan’s Bait by John Bevere, you can find it on Amazon if you are interested. I have this book in my library and found it to be a good study tool on the topic of offenses. A while back I wrote about the tree that fell down in the playground at my apartment and how they had to cut the rest of it down. This beautiful tree lost a huge branch. So it had to be cut down because it was rotting on the inside. So to recap, large branch fell causing the tree to be cut down, chopped and ground to nothing. This tree is gone, or is it? Here where a tree had fallen and was cut down to nothing is life shooting up out of the ground. Many times in our lives we feel the pruning sheers of life cutting away at us. For some of us we feel like we are cut down to nothing and there is nothing left. Yet looking at this tree sprouting out up from the ground I am reminded that even when you seem to have lost it all and there is nothing left, do not give up and hold onto hope. The tree that fell in the playground of the apartments I lived in continues to teach us lessons. Today as I looked at the branches cut and in piles and looked at the tree that they came from I received another lesson. Fallen does not mean useless it also does not mean that you have changed who you are. Your purpose may have changed, and your location may have changed and you may even feel separated from the source of life with your creator but you still have purpose and you are still His creation. He can take the broken pieces of your life and use them for many new purposes. One thing that you can easily do with a fallen branch is cut it into firewood. This of course would be a one time use. Yet this wood can become so much more than that. I have already gathered branches from this tree and put them to use. They now have my grapevine growing upon them. Supporting life that is already growing its fruit. Previously I have used a fallen branches and turned them into walking sticks like my other had done when she was alive. Here are a couple I have previously made. The wood that is used to build homes and and furniture all came from a tree. This chair, shop, barn and home were all built from wood that was once part trees. They all serve a purpose. A place to sit and rest. A place to work. A place to shelter animals and store supplies and equipment. A home to shelter a family or even an individual. Whether that tree was cut down or fell that was used to build these I do not know. What I know is wood comes from a tree and eternal life comes from Jesus. There is one piece of wood that was used to bring us salvation. It was used to make the cross upon which our Savior was crucified. This cross is not that cross but it is a reminder to us of the price He paid for us and how He has forgiven us. Another tree that gave a piece of itself to be used for the greatest purpose in any trees life.So if you have fallen or someone you know has fallen do not write yourself or them off. You are useful and you have a purpose. Let yourself be picked up and make a new start. Become something new. Isaiah 65:17 “For behold, I create new heavens and a new earth; And the former things will not be remembered or come to mind.